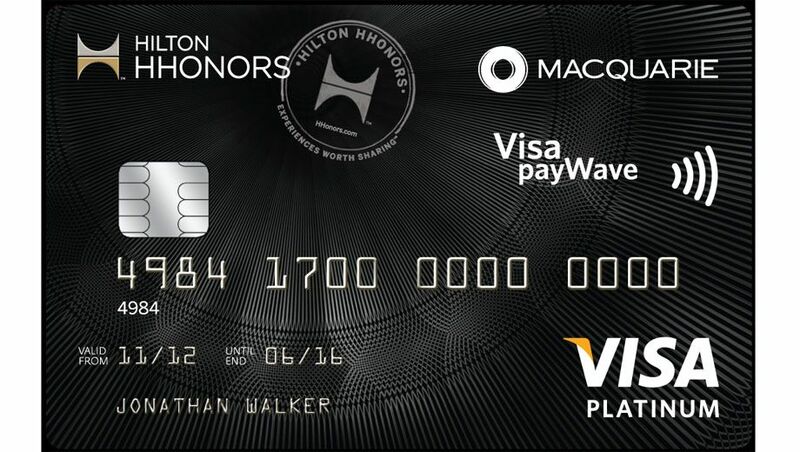 Macquarie Bank’s Hilton Honors Visa Platinum credit card will be withdrawn from the Australian market as of May 1 2019, after previously being made unavailable to new applicants from last year. All existing cardholders will be transitioned over to Macquarie’s Rewards Black credit card at their current annual fee, with all purchases settled on the account from May to earn Macquarie Rewards points rather than Hilton Honors points. Macquarie Rewards points can be cashed in for gift cards with a number of brands, but importantly, cannot be converted into airline frequent flyer points or hotel loyalty points, including with Hilton Honors. Alternatively, cardholders can ask to be migrated over to the Macquarie Black Visa with Qantas Points card instead – providing one Qantas Point per $1 spent up to $4,000 per month, halved thereafter – but at an annual fee of $299. Whichever option is chosen, the complimentary Hilton Honors Gold or Diamond status currently provided by the Hilton Honors credit card will come to an end, but with plenty of time remaining to make the best use of it. In an email sent to cardholders by Macquarie, the bank notes that Hilton Honors will extend the validity of any current Gold or Diamond status earned through this credit card until March 31 2021, “to say thanks for your loyalty”. That means you’ll continue enjoying perks like complimentary daily breakfast and room upgrades for another two years – and executive lounge access for Diamond members until the same date – before needing to qualify for Hilton status under your own steam. 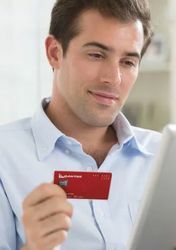 However, as of May 1 2019, additional Hilton Honors benefits associated with the credit card will no longer be available, such as the ability to earn ‘reward weekend night certificates’ based on card spend. Any certificates awarded before that date will be honoured until the expiry date shown on the certificate, and any Hilton Honors points sitting in your account will also remain valid, subject to the usual points expiry rules of Hilton Honors. As part of the changes, Macquarie Bank will also remove the 3% international transaction fee from all of its Macquarie-branded credit cards, for purchases made from July 1 2019. This includes the Macquarie Bank Rewards Black and Platinum Visas, the Macquarie Black and Platinum Visas with Qantas Points, and other cards like the bank's Rate Saver lines, Macquarie Bank has confirmed to Australian Business Traveller. Hilton has no other branded credit cards in Australia, although Hilton Honors points can continue to be earned on credit card spend via the American Express Membership Rewards program. It was a great card! Amex Platinum Charge has great hotel boost options. I loved this card as an alternative to earning FF Points which i get enough of from flying and AMEX, the guaranteed Diamond membership each year was great prior to this I alternated between Gold and Silver. I think now i'll be staying at more AirBnbs and spreading my hotel chain wings. Is there any reason I'm missing to keep this card after they extend the validity of my Hilton membership? I can't imagine any point in earning points for gift cards (which presumably far worse value than FF points). "In an email sent to cardholders by Macquarie, the bank notes that Hilton Honors will extend the validity of any current Gold or Diamond status earned through this credit card until March 31 2021"
My email didn't mention any of this, or any dates. Can someone please confirm? Thanks for your loyaltyTo say thanks for your loyalty, Hilton Honors will extend your current Gold or Diamond Hilton Honors status to 31 March 2021. Any Hilton Honors Points you have earned will still be valid and subject to the Hilton Honors terms and conditions available at HiltonHonors.com/terms. Please note that from 1 May 2019 you’ll no longer receive the benefits of the ongoing Hilton Honors program, including reward weekend night certificates, from spend on your credit card. This was a good card, it's a shame they are getting rid of it. Although the points earning was nowhere near as good as the US Hilton cards, I got so many excellent upgrades and benefits using my Diamond membership in Asia. IMHO the grandfathering of Diamond status until 2021 is pretty good! Have anyone confirmed with Hilton their new status expiry date is in 2021 not 2020? Just contacted them and they said it's March 31, 2020 which is concerning. Comment on "Macquarie Bank cancels Hilton Honors Visa credit card"